February 07. 2012 | By Valerie C.
On Tramp, her third LP and debut on the Jagjaguwar label, Sharon Van Etten‘s growth as an artist is clear. Her songwriting and gritty yet seraphic voice shines with the confidence of a woman more comfortable within her own skin. Produced by The National’s Aaron Dessner. The album’s list of collaborators reads as a who’s who of respected artists like Wye Oak’s Jenn Wasner, The Walkmen’s Matt Barrick and more. Beirut’s Zack Condon contributes vocals on “We Are Fine,” wherein friends encourage each other to soldier on. “We’re alright, we’re alright,” they assure each other. Numbers like “Serpent” is as close to rocking out as Van Etten gets on the album, and that’s okay. She’s at her best during the more melancholy, quieter numbers. When the longing that’s palpable in her voice appears, her lyrical mastery and guitar take center stage. “Give Out” is one such track “In my way, you’re the reason why I’ll move to the city or why I’ll need to leave,” the sorrow in her tone, both discernable and relatable. Van Etten describes Tramp as “scattered” owing to the fact that she would write songs while on tour, over a two-year period. Living an almost nomadic existence after having given up her apartment and crashing with friends. 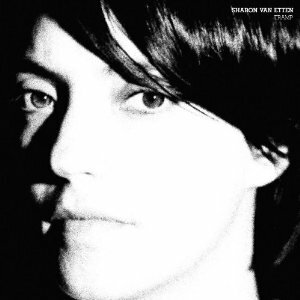 Sharon Van Etten‘s talent as a songsmith, her maturity as an artist mold these scattered pieces together, the result of which is a record full of confidence as well as nuanced lushness. A comforting place for us to get lost. From beginning to end and back again.